The Greater Manchester Voluntary, Community and Social Enterprise (VCSE) Devolution Reference Group has welcomed two new members. Khadija Tily, Operations Manager with KYP, an independent charity which aims to empower individuals and communities to bring about socio-economic prosperity for Rochdale and surrounding areas. Her 20 year vision for Greater Manchester is to see a marked change and improvement in specific localities that have not seen sufficient development in the last 30 years. She fears that the dialogue and landscape have changed very little in that time. As a nominee from the GM BME Network, Khadija feels that there may be multiple, complex barriers holding the region’s black and minority ethnic communities back and that there ought to be research into the causes. She also believes that change will only occur with the political will, supported by high level strategic measures and accompanied by action that redresses the situation. Khadija is keen to connect with the LGBT Foundation and other equalities groups to learn from their achievements, link into the BME Leadership Group and also work with the Greater Manchester Health and Social Care Partnership to try to make an evidence base for difficulties within BME communities. 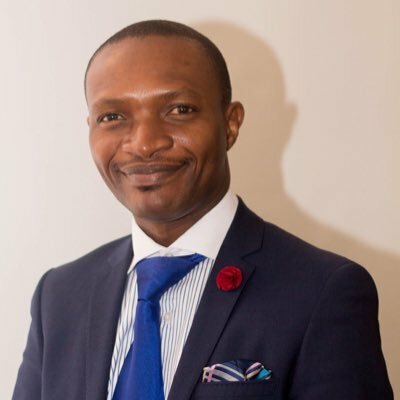 Charles Kwaku-Odoi (pictured below) is the new faith representative in the group and he aims to, “act as a bridge between the VCSE Memorandum of Understanding (MoU) and the Faith & Health MoU”, which is under development. He works with colleagues at Faith Network 4 Manchester (FN4M) and the Greater Manchester Interfaith Network. Charles would like to see greater inclusivity in the region, with more role models from BME communities at senior levels, and greater knowledge and transparency in order to remove barriers to his vision of this becoming a reality. The GM VCSE Devolution Reference Group aims to promote the role and involvement of the VCSE sector and communities in devolution. The members come from voluntary, community, faith and social enterprise organisations from across Greater Manchester. The group works to support sector engagement across Greater Manchester’s devolution agenda and with Mayor Andy Burnham. It has signed a Memorandum of Understanding with the Greater Manchester Health and Social Care Partnership and signed the Accord with the Combined Authority. Members such as Khadija and Charles are nominated by their own networks to join the reference group, acting as voices for their communities and working under a signed protocol agreement. Reference Group members are then expected to be ‘catalysts and connectors’ on behalf of their sector, bridging the gap between the people they represent and the public services that the public rely on.